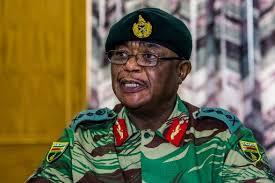 The assigning of ministerial posts to the two Vice-Presidents – General Constantino Chiwenga (Rtd) and Cde Kembo Mohadi – will see the Government saving millions of dollars as this has led to the collapsing of four ministries. Gen Chiwenga is overseeing the Defence and War Veterans portfolio, while VP Mohadi is in charge of National Peace and Reconciliation. This collapses tasks previously designated to four separate ministries – the Ministry of Defence, Ministry of State Security, Ministry of War Veterans and Ministry of National Healing. In November, President Emmerson Mnangagwa told permanent secretaries that rebuilding the economy required a lean and efficient Cabinet. Indeed, the President went on to appoint a lean Cabinet. Meanwhile, the Permanent Secretary for Information, Media and Broadcasting Services, Mr George Charamba, has clarified that teachers do not fall under the Office of the President and Cabinet as feared by some teachers. This followed the recent move to put the Civil Service Commission under the Office of the President and Cabinet. Mr Charamba said: “It is not true that teachers now fall under the Office of the President and Cabinet. What has happened is that the Civil Service Commission, which used to be called the Public Service Commission, has gone to its rightful place, which is the OPC.